Many birdwatchers like to keep a list of the birds they have seen. Commemorate 200 lifelist birds with this medallion-style design. 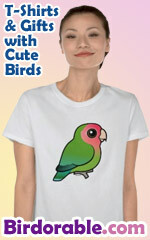 This makes a perfect gift idea for the birdwatcher on your list!